Applying for University as an International Student - StudyinCanada.com! Applying to study in a university abroad can be both exciting and stressful. It’s crucial to plan ahead by outlining all the steps you need to take, to make sure that your first – and subsequent – years of university runs smoothly. If possible, planning a trip to your desired destination is an important first step. Visit the campus and arrange a campus or department tour. We welcome you to join in on one of Concordia University’s campus tours, led by a current student. In addition to visiting a university’s campus, get a feel of the city you would potentially live in by visiting different neighbourhoods nearby. Find out if you’re close to pharmacies, grocery stores, restaurants, clinics and other necessary stops for common needs. Each university has a different set of requirements for international students, depending on their diploma equivalency. 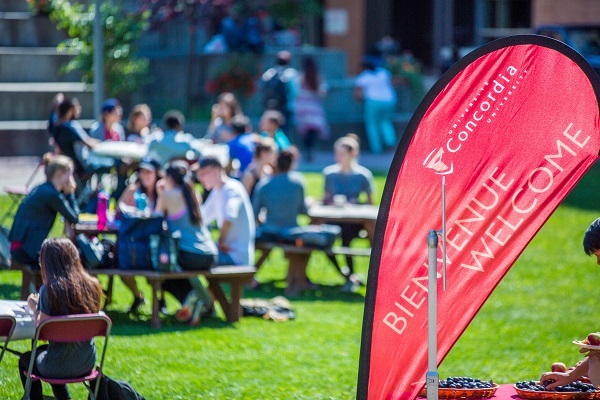 Find out what the international students requirements are in Quebec (Canada) for Concordia. Health and dental insurance When you apply for university and get charged tuition fees, you’ll likely be charged for a health and dental insurance plan. With health and dental insurance, you’ll benefit from partial coverage of necessary services such as visits to the dentist, health clinic or the optometrist for prescription glasses. However, even if your plan offers sizeable partial coverage, you’ll need to pay for the rest out of pocket. So it’s a good idea to set some funds aside for health or dental-related expenses in advance, to prevent surprise costs. Transportation Depending on where you live, you may need to purchase a monthly pass to access public transportation. Montreal has one of the most affordable fares in North America, with a special discount for full-time students. Find out how much public transportation will cost in your destination of interest and budget for it. You should also factor in the cost of trips back home, so budgeting for flights or train tickets is wise. Get your admission and immigration documents in order! First, a Certificat d’acceptation du Quebec and secondly, a Canadian Study Permit. It’s crucial for you to obtain these before entering Canada. Evidence of enough funds to cover tuition, books and living. Will your desired destination require you to speak a second language? If so, find out if there are accessible and affordable opportunities for you to learn a new language.